Do You Love Lutefisk? This 'All I Want For Christmas Is... Lutefisk!' design let's tells everyone what you'd ike this Xmas Holiday! 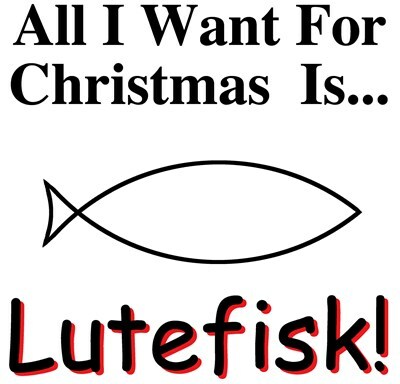 It's also a Great Gift for the Lutefisk Lover.